Teeth are one of the best and most attractive features of face, if they are well cared. White teeth make you attracted in front of other person because when you meet with your friends or colleagues, you give deliberate smile and your teeth appear in front of them. So white teeth must be a signs of health and wellness and it makes you good personality. To be smart and beautiful, white teeth must necessary like as beautiful skin and shiny hair. Those people who have yellowish color of their teeth avoid the smiling to the audience for having an unconfident situation. Here is the big question the audience asked, how to whiten your teeth fast and naturally? But why you not save your money to spend any dentist to make your teeth white. 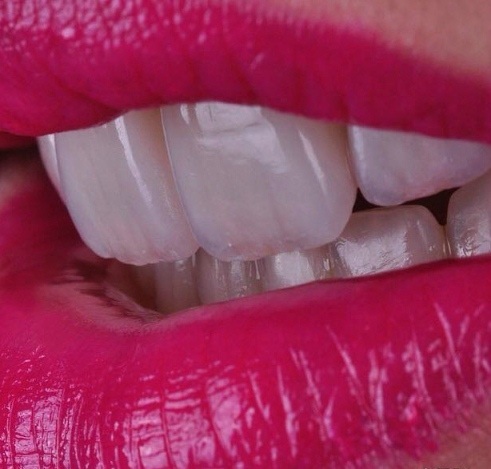 Try these 6 easy and natural ways to whiten your teeth quickly. Take a banana peel and rub the inside of a peel on your top and bottom teeth. Do this at least 1 – 2 minutes each, and wait for 5 minutes. Now take a dry toothbrush and start brushing for few minutes. This method helps to become your teeth white. Take 2 teaspoons of baking and add some drops of lemon juice in it. Now apply this paste on your teeth with the help of toothbrush. Start brushing at least one minute, then rinse. Your teeth become whiter. Lemon juice contain acidic, so don’t use it daily. In this process, you need to take one tablespoon of coconut oil. Pushing, swishing and pulling coconut oil around on your teeth at least 15 minutes. Then spit it out, wash your mouth with water and then brush your teeth. It will detox your body and clean the gums and teeth to make them shiny. Take 2 strawberries and mash them into a pulp, now add a pinch of sea salt in it and mix well. You can add half teaspoon of baking soda (it’s optional). Now apply this mixture on your teeth with the help of toothbrush for 5 minutes. Do this at Night before sleep. In this method, you need to dilute apple cider vinegar with water. Take ½ teaspoon of apple cider vinegar; mix this ACV solution in a full cup of water. Wash your mouth from this water in the morning, and brush as usual after the gargle. Do this daily; your teeth become whiten without any stain. In this remedy you just need to eat the cheese, because it helps to increase the pH levels in the mouth and making it less acidic. Eating cheese help to reduce the chance of discoloration and tooth destruction. Cheese contain the calcium, it helps to make your teeth stronger and healthier.